The Radio Shack Model 200 was essentially a Model 100 with a double-size screen. The operating system was the same. Ironically, the Model 200 wasn't quite as popular due to its larger size. 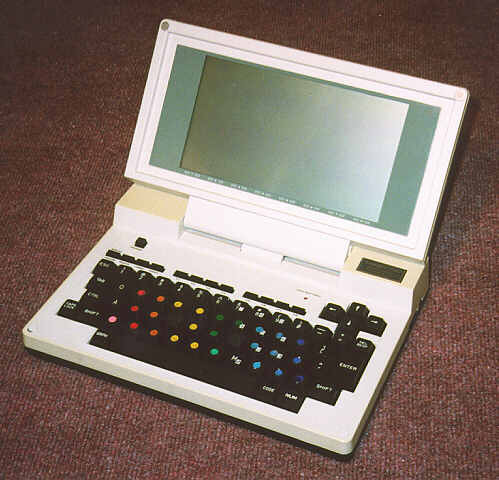 Note: The colored dots on this unit's keyboard are there because this machine was being used in a school for touch-typing training.